For some of the 1% and then the rest of us. Since 2006, iconic jeweler Ted Muehling has partnered with Austrian glass company, Lobmeyer. The designs are still gorgeous, and personally, I have a glass weakness. Muehling, as always, took his inspiration from nature and the fish and insect world. 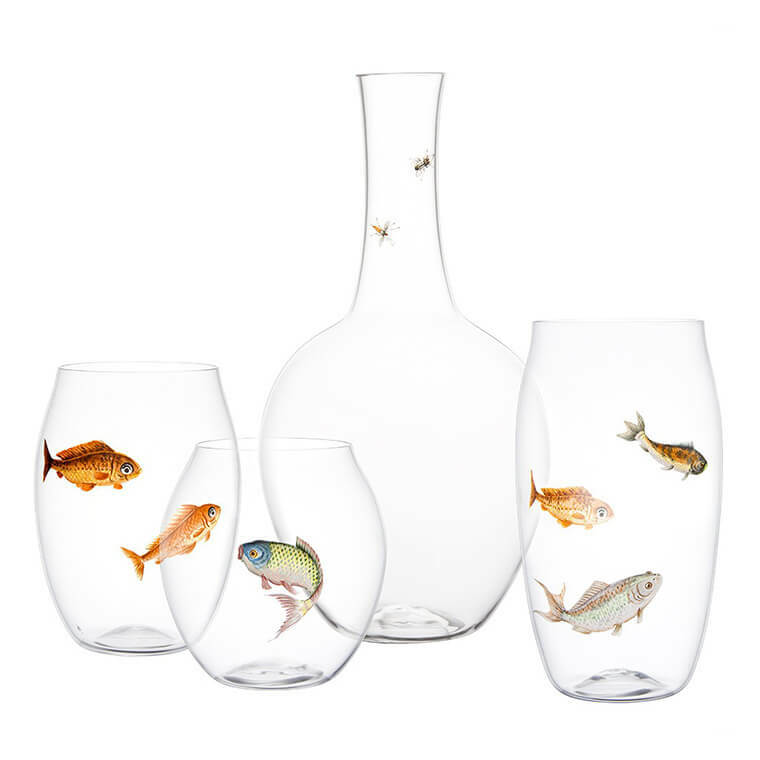 They come in decanters, shots and tumblers, featherweight and stunning, just like the prices. Available at various places but I drooled over them, much to the snooty salesperson’s dismay, at Les Ateliers Courbet on Mott Street. From around $139 for the shot glass, closing in on $500 for a tumbler and near $1,000 for the decanter.